EXCLUSIVE! 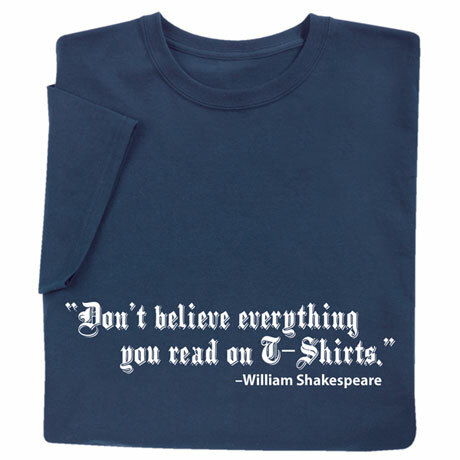 Shakespeare left us so many great quotes that surely this is one of them. Right? Navy sweatshirt is 50/50 cotton blend, T-shirt is preshrunk 100% cotton. Sizes S-3XL. Imported.